This product is sometimes co-listed as “Gelrite™” by some suppliers. However, Gelrite is no longer made and this product (Gelzan) has a lower gel strength than that of the original Gelrite. 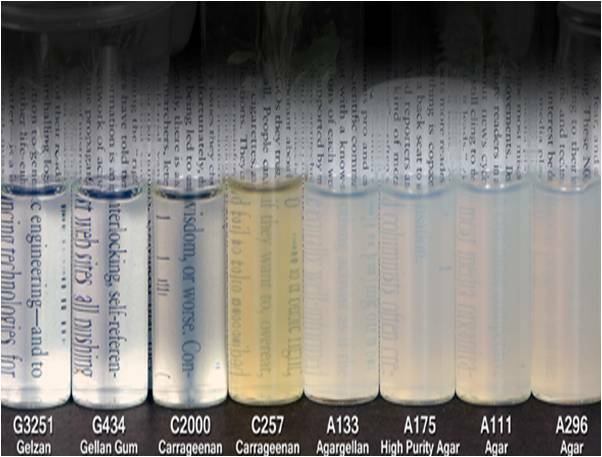 Please Note: While PhytoTechnology Laboratories™ tests each lot of this product with two or more plant cell/ tissue culture lines, it is the sole responsibility of the purchaser to determine the appropriateness of this product for the specific plants that are being cultured and applications that are being used. As with all gellan gum products, Gelzan forms the most efficient gels in the presence of divalent cations (i.e., calcium and magnesium). Low levels of these products will require the addition of more Gelzan. However, high calcium levels, such as those in DKW Medium (9.3 mM Ca++), have shown to produce a soft and cloudy gel. No gellan gum product is recommended for use in media containing comparable calcium levels to those of DKW Medium.